Getting Married in Maui? Call Us! Please use the form below only if you have general questions. To receive a quote, please fill out our Wedding Reservation Form. 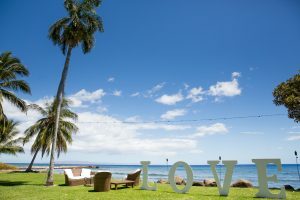 Getting married in Maui? Tropical Maui Weddings consistently provides exceptional service for couples seeking the ultimate destination wedding on the island of Maui, Hawaii. From an intimate union for two, to a private oceanfront estate celebration for two hundred, everything is carefully planned, down to the most minute detail.